The University of Santiago de Compostela, with more than five hundred year of existence, is an institution which gives its knowledge and leadership in the academic, research, technology and management scopes at the service of the society. 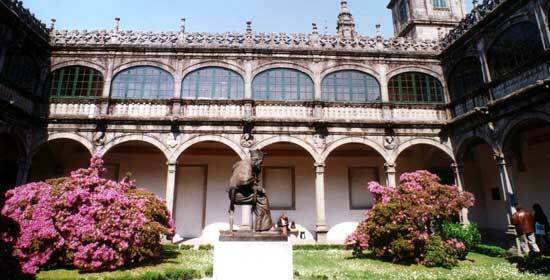 It is constituted by two campus placed in two of the main cities in Galicia: Santiago de Compostela and Lugo. The academic offering of the University includes 63 official university degrees plus three degrees of its own. Likewise it offers a wide range of official masters and doctorate programmes, some of which have been honoured with the mention of Excellence from the Ministry of Education. The technological and research offer of the University is distributed within the variety of centres, departments and research groups funded for such purpose. Every year the University has around 30,000 students, more than 2,000 teachers as well as the management staff, consisting of about 1,200 people.